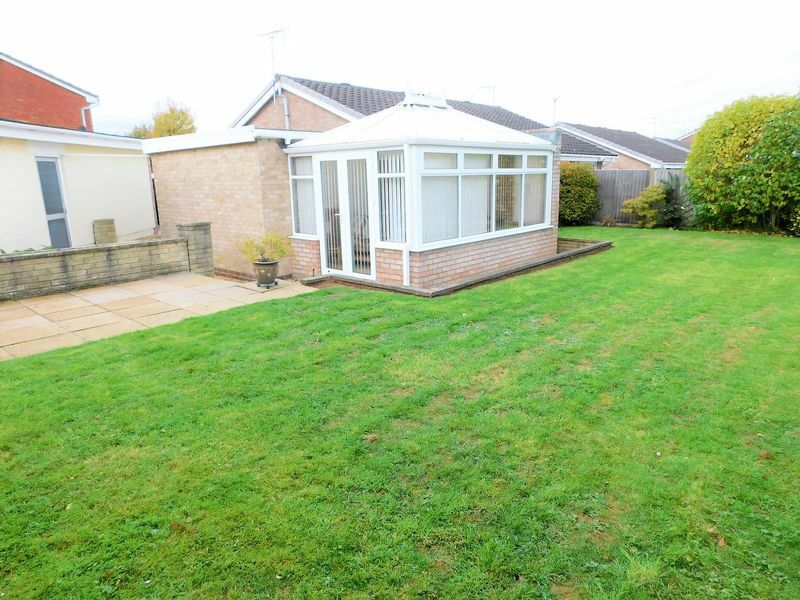 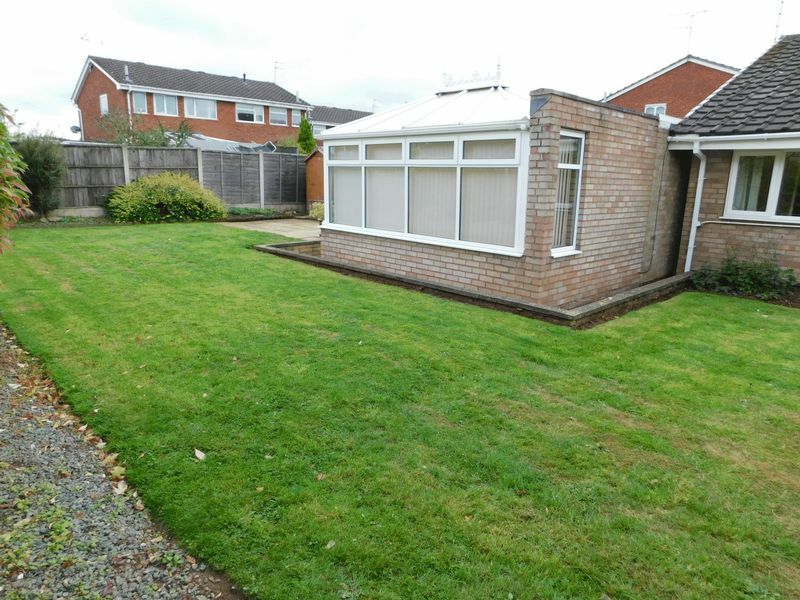 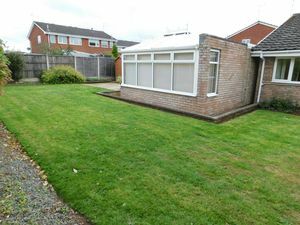 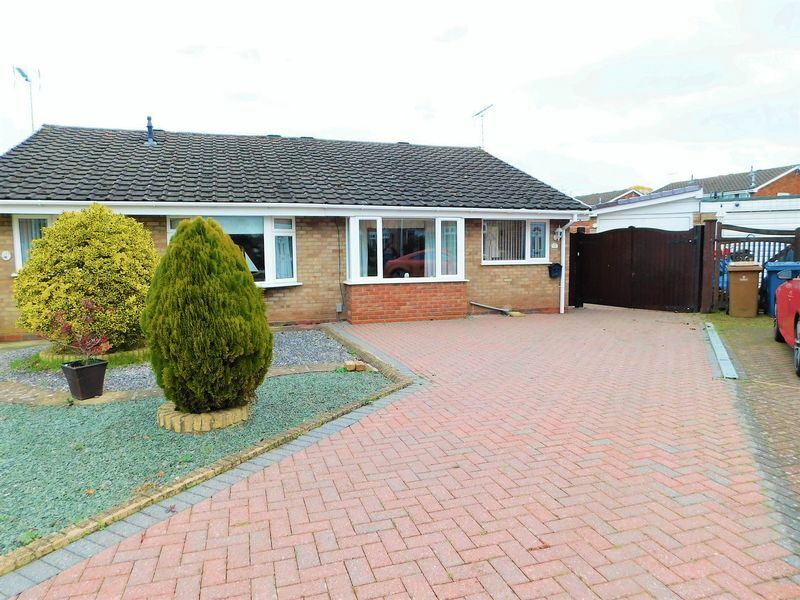 Deceptively spacious and extended three bedroom semi detached bungalow, situated in a highly desirable location, close to shops and amenities, enjoying ample off road parking, detached garage and a good sized rear garden. 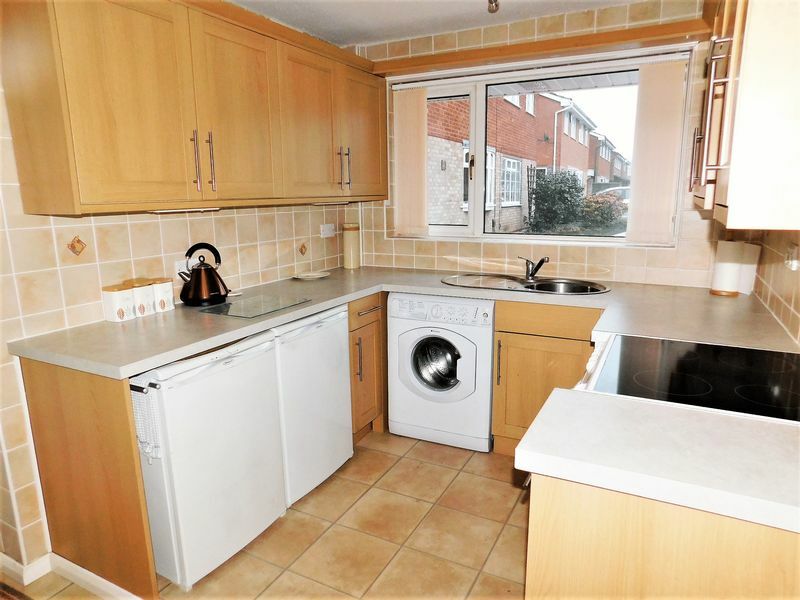 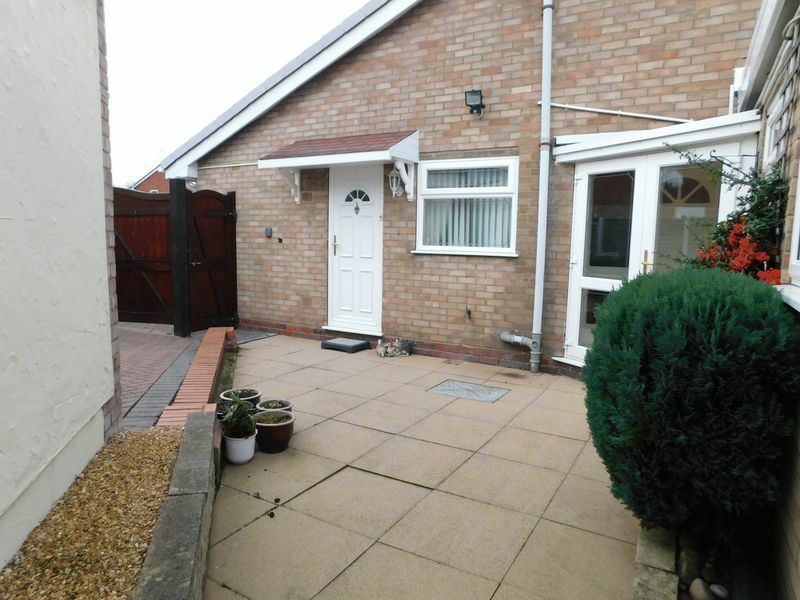 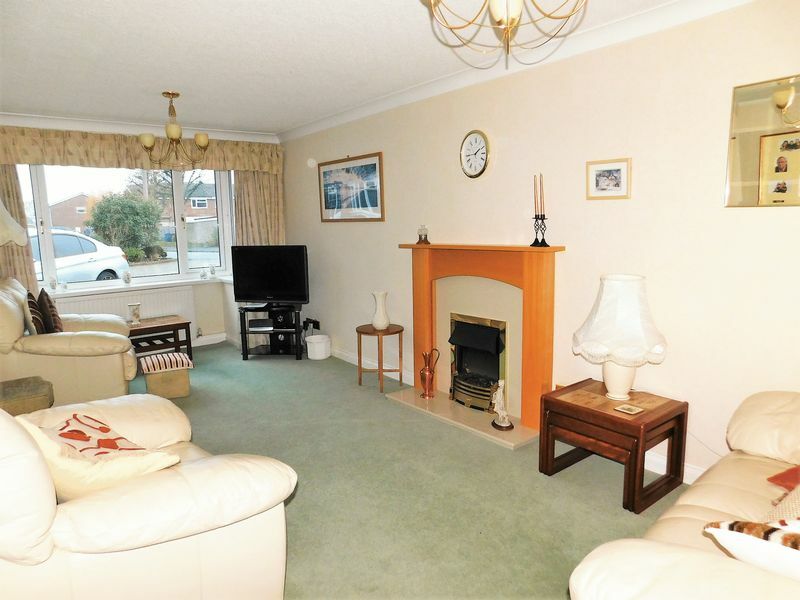 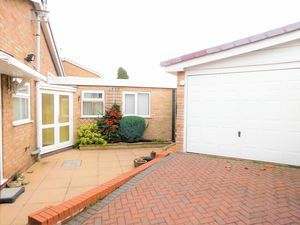 Internally comprising entrance porch, entrance hallway, spacious lounge diner, fitted kitchen, three bedrooms with bedroom one having an en-suite. 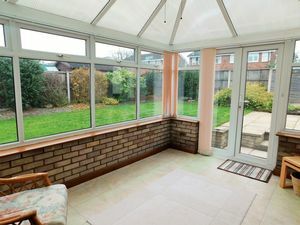 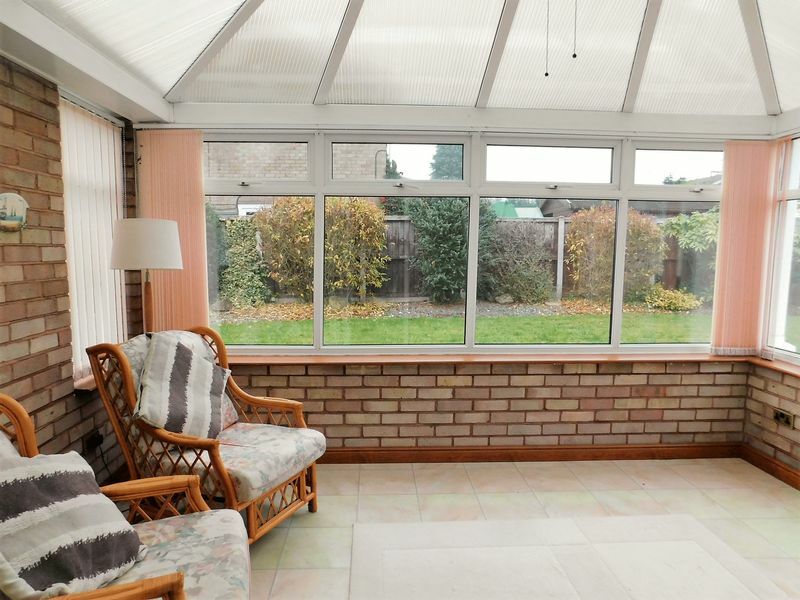 large double glazed conservatory and bathroom. 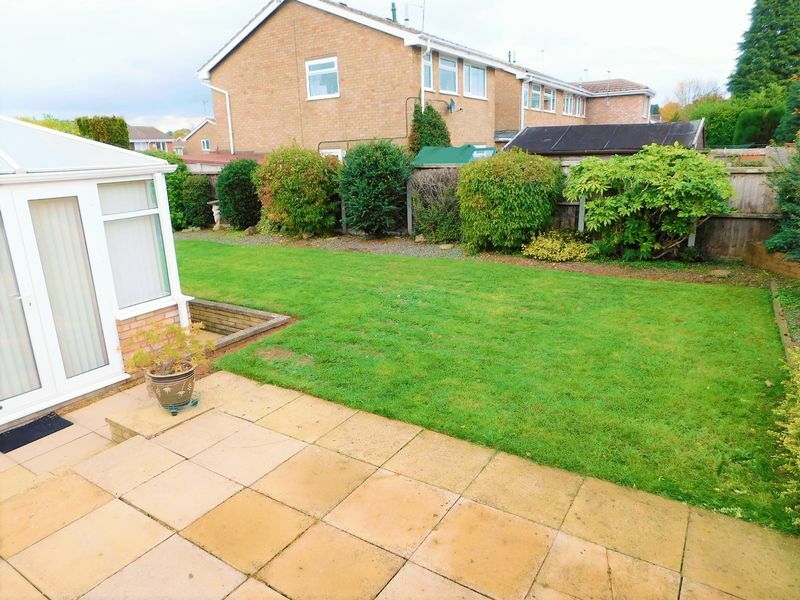 Externally the property sits on a corner plot enjoying ample off road parking, large detached garage and a well maintained rear garden with paved seating area's. Double Glazed Entrance Porch having door to the entrance hall. 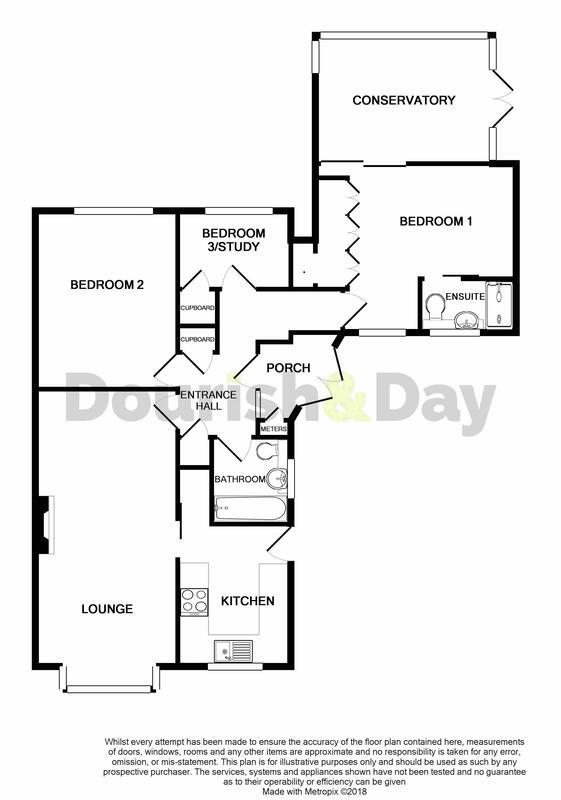 Having access to loft space, built in cloaks cupboard and cupboard with shelving. A spacious and well presented lounge diner having fire surround with granite effect inset and hearth housing a living flame coal effect electric fire, radiator and bay window to the front elevation. Comprising wall mounted units with under cupboard lighting. Work top incorporating a stainless steel sink drainer, matching base units, space for appliances, ceramic tiled walls and tile effect floor. 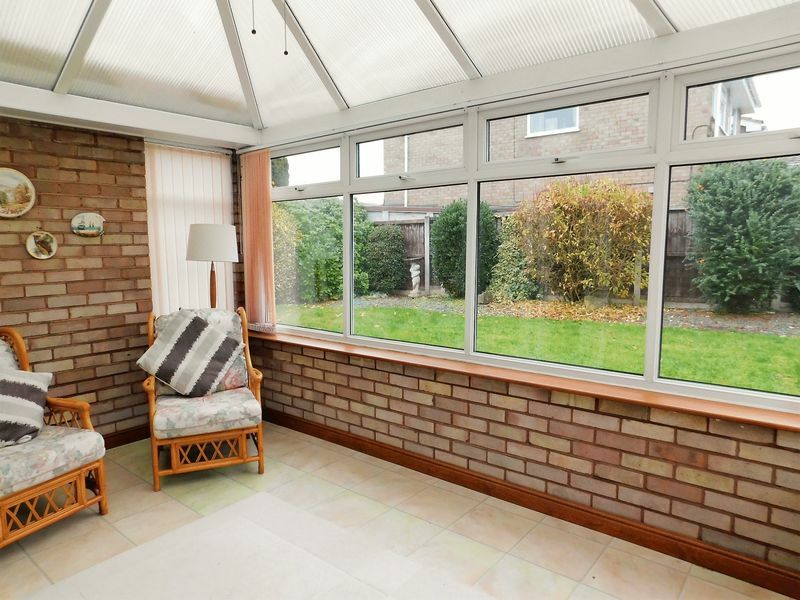 Having fitted double wardrobes, coving, radiator, double glazed patio doors to the spacious conservatory and sliding door to the en-suite. 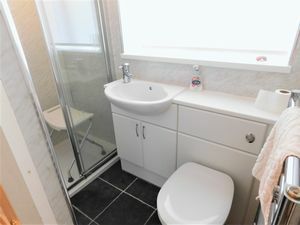 Comprising shower cubicle, low level WC, wash hand basin with vanity unit under, chrome towel radiator and ceramic tiled floor. 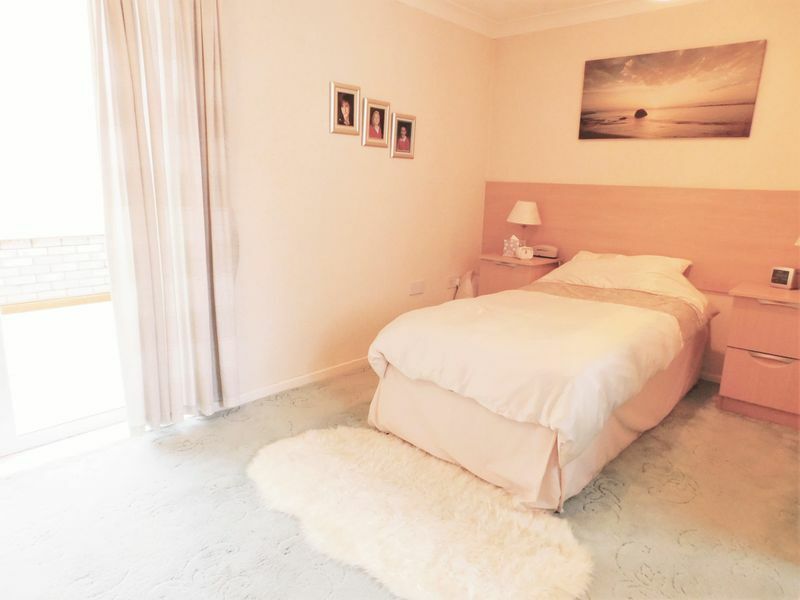 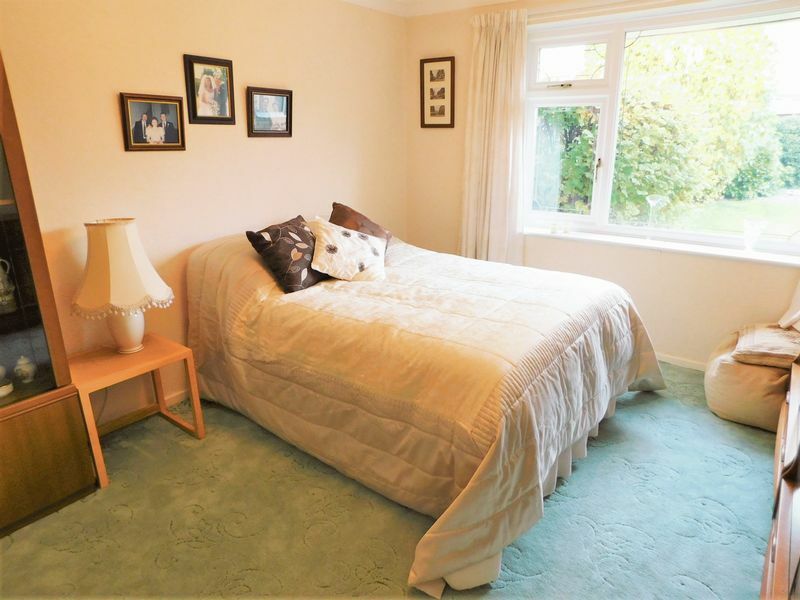 A good sized second bedroom having radiator and coving. A room with flexible usage having radiator and cupboard housing the gas central heating boiler. 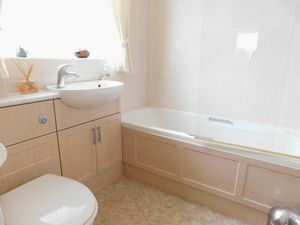 Comprising bath with shower over, low level WC, wash hand basin with vanity unit under, ceramic tiled walls and chrome towel radiator. 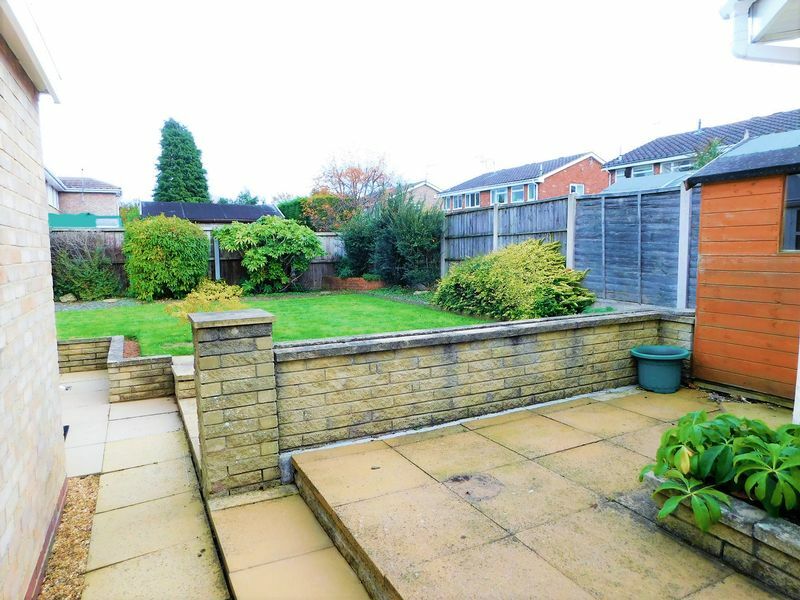 Gravelled, easy maintenance garden to the front and block paved driveway leading to secure double gates with additional block paved parking to the side leading to a brick built garage. Paved side area and opening into a good sized rear garden laid mainly to lawn with patio, well stocked boarders and garden shed.